At the time of writing, my bees & the DDBKA bees at Eythorne are all alive and have been given a winter treatment & a feed of candy, 'just in case'. If you are registered on Beebase [as I trust you are], you will have received an alert from the National Bee Unit about the mild weather leading to bees venturing out more and consequently using up their stores for energy more quickly. So keep them fed; fondant/candy is the only suitable feed in winter. Please return your completed form and pay your subscription by 28th Feb at the latest! All should be clear, but please notice the ways to pay section and also the part on page 2 about helping your Association to run smoothly. Let me know if you want to join or leave the list of swarm collectors & were not at the AGM. Also if you are looking for a mentor. As yet, we have no beginners wishing to loan one of our 4 National hives for their first year. They are available at no cost, just return it as it was given in April the next year. The initial outlay for equipment can be pricey, so a loan might just suit, once you become a member of DDBKA. Membership will also enable you to borrow honey extractors in the summer & also we have 2 solar wax extractors to lend as well as other bits & pieces. We hope to offer members reduced rates on varroa treatments in August as well as Ambrosia bee syrup as an autumn bee feed. LAST CALL FOR BEGINNERS' TRAINING! Mary Hill reminds you of her Beginners' Course being held on the 25th February & 25th March, just before our Association monthly meetings at Alkham Village Hall, costing a total of £20, running from 10am to 2pm both days. The course covers equipment, siting your apiary, the life of a colony, the beekeeper’s year, swarms, pests and disease control and prevention. An opportunity as a refresher & to ask questions in a friendly group. You must be able to attend both sessions. 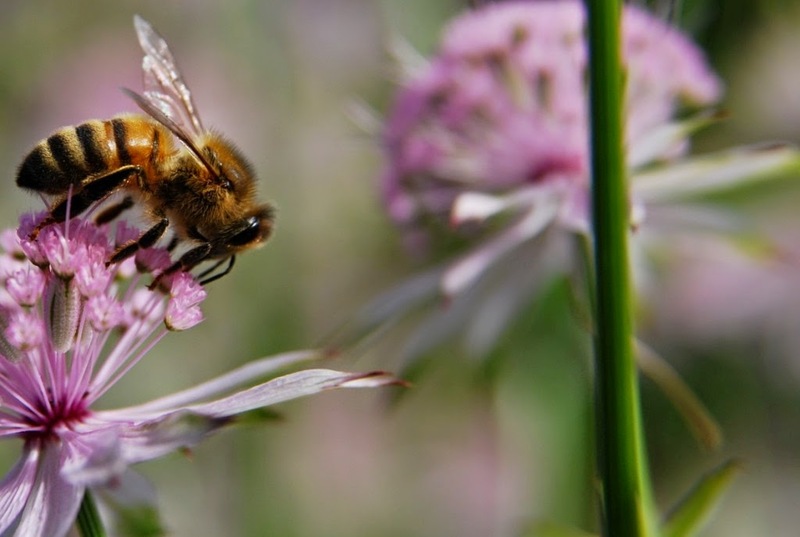 I have heard from our Regional Bee Inspector, Diane Steele [who is leaving this post], about the Annual SE Region Report, covering matters such as honey yields, pests, incidences of disease etc affecting our region & further afield in 2016. The Annual SE Region Report is available to download HERE. Peter Crow was our representative at this meeting on January 14th, he was involved with propositions & debates which he will sum up briefly at the January meeting. Saturday 28th January at Alkham Village Hall CT15 7BU 2:30 p.m.
Our speaker is Bob Smith, very well-known as an inspiring teacher to many of us. He will be speaking on some of the things bees collect & their uses, but principally about pollen, how it is gathered and used as vital nourishment for our colonies. Don’t miss it! Please pay your subs at the meeting if you have not done it before, remember to use a sealed envelope with your name on it for your form & money, it can get confusing! Please remember to fill in the back of the form. Your subscription pays for the BBKA monthly magazine and membership, insurances, newsletter & speakers.